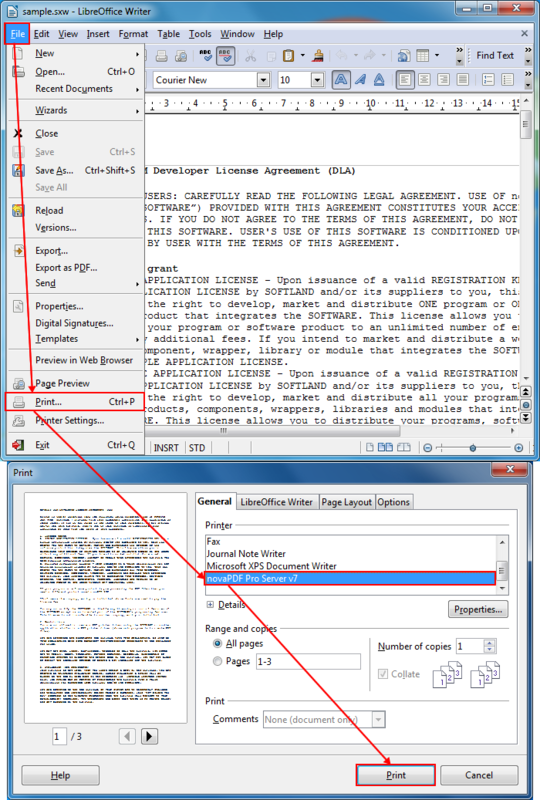 This article is a tutorial that shows how to convert a sxw file to a PDF document. To be able to perform the conversion you will need a pdf converter such as novaPDF. To get novaPDF on your computer, use the Download link to download and install it. OpenOffice follows up on the StarOffice suite and contains everything the original installation contained and above all it is freeware to use and open source. The main components of the application resemble the Microsoft modules and are a word processing tool, a presentation tool, spreadsheet application, a graphics utility and a database management tool. Another feature is the cross platform availability as the suite can be installed on Mac, Linux, Solaris and some of the other OS. With the latest version of OpenOffice came the latest controversy however as the main contributor to the project Oracle announced it would no longer support it and asked the other contributors to step down due a couple of misunderstandings. As an answer, the community actively supporting the project, formed The Document Foundation and made an alternative called LibreOffice. The sxw file extension was the native writer format for the first version of the Office and was replaced on the following software versions with the odt extension. The file type can still be opened and managed with all the available versions and with all the Office variations or forks (StarOffice, OpenOffice and LibreOffice). Due to the fact that the extension is deprecated and was abandoned, a conversion to a more popular and actively used file type is recommended. novaPDF can help you with this by converting the file to a PDF, a very popular and widely used file extension having an ISO standard as well for portability and archiving as well as a lot of programs capable of opening it. Also sharing the file with other people is easier as you will not need OpenOffice installed for the person receiving the file to be able to open it. Select after save actions like mail sending or file merging and click on OK. The file will be then converted to a PDF.